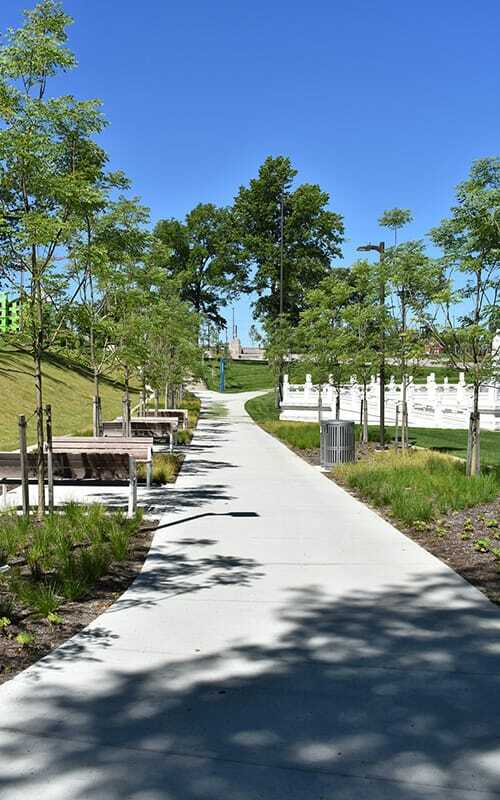 The Nord Family Greenway project served as a catalyst for urban revitalization and community development in the city of Cleveland. The new design has created an open, public green space in the heart of a dense, urban district. 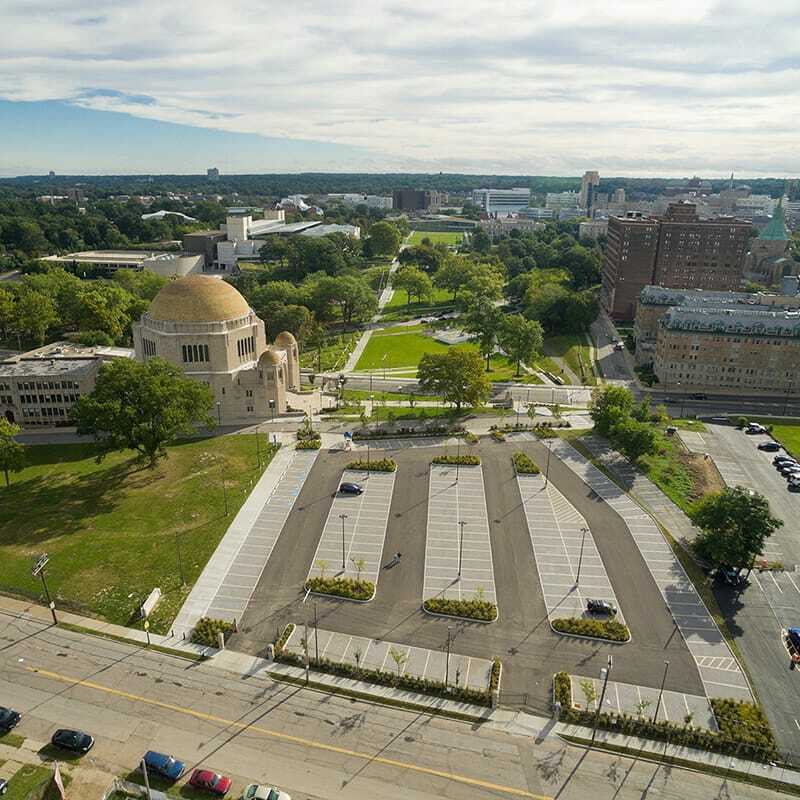 Gilbane provided construction management services for the newly-designed pedestrian mall that features a walkable and bike-able, 2,200-foot-long greenway linking the heart of Cleveland’s University Circle district with local surrounding neighborhoods. 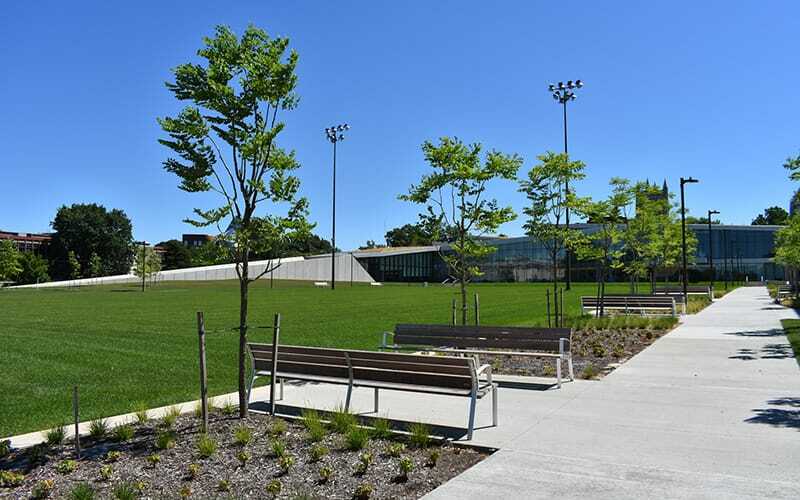 Constructed in multiple phases, the project consisted of major site improvement and soil relocation, as well as a significant urban greening effort. Detailed tree protection procedures were included to preserve over 150 mature trees to reduce stress from construction. The design also included planting over 275 new trees. 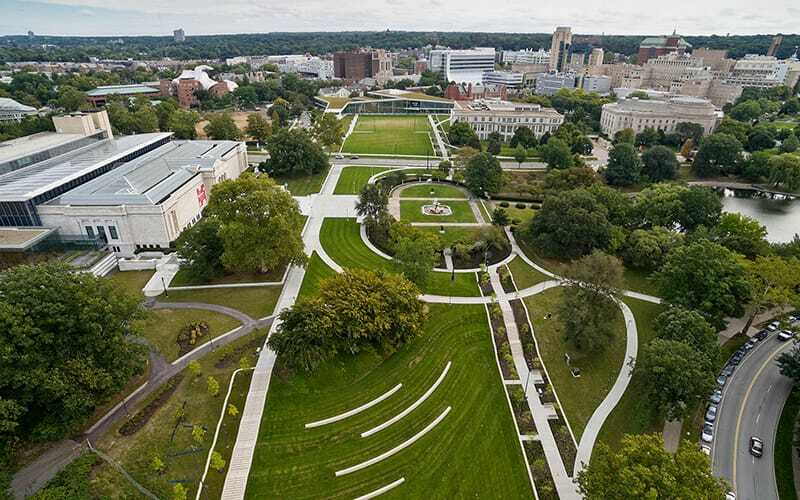 Within the newly created public green space, the surrounding community can now benefit from outdoor art installations, free public concerts and lectures, farmers markets, and other community events where the interaction and socialization of residents, local businesses and institutions can be maximized. For more information on this exciting new project, click here to read Properties Magazine’s article from the September 2018 issue titled Cultivating Connectivity. To achieve the high standards of multiple stakeholders, Gilbane developed a project-specific quality plan that included extensive material mock-ups and review of in-place benchmarks to establish museum quality work. Material reviews included decorative steel railings, stamped concrete, precast donor elements, ornamental light fixtures and other custom design elements.